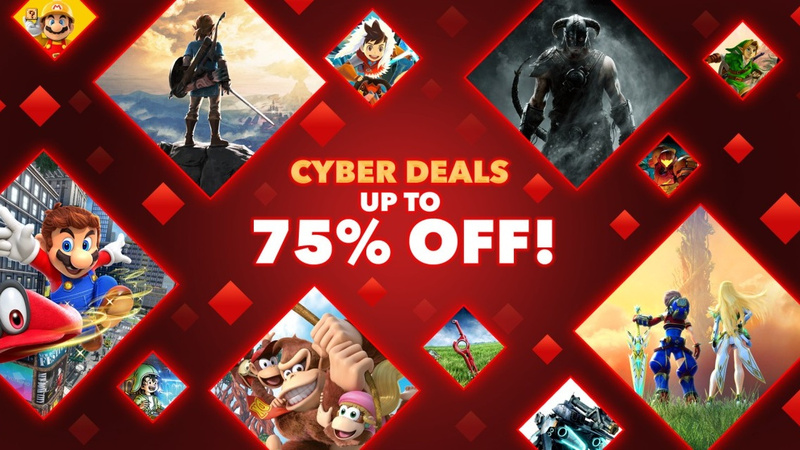 Last week, Nintendo of Europe launched a very welcome Cyber Deals 2018 sale, reducing the digital prices of numerous first-party wonders and indie delights. If you haven't checked out those deals yet, you might want to get a move on. Seeing Nintendo titles be reduced by any amount on the eShop is a pretty rare occurrence, so these deals are pretty impressive. You'll find that various indie titles benefit from even greater discounts, taking their prices down to literally pennies. You can access the deals directly from your Nintendo Switch's eShop, or by heading to your country's Nintendo website online. UK readers can click the link below. Have you treated yourself in these sales? Which discounted games would you recommend to other readers? Feel free to share your thoughts in the comments below. The US deals were so much better. At least I finally got the Expansion Pass for Zelda. Yeah, they put 75% on the ad but none of the games in the picture is more than 33% off. Classic. I want to see today's weekly sale in order to find anything more interesting to me. I got the season pass for Fire Emblem Warriors for 13€ this morning. But my physical copy is still right there waiting to be played. The rest I have them all physical and the season pass (digital) for Zelda. To be fair, Nintendo titles are usually 30-33% off during holiday sales since the 3DS and Wii U days. The rare thing is when they are 50% off. This is the worst 'Black Friday' digital sale of all platforms. I didn't buy anything, of course. If most people do that, Nintendo will learn. I really wanted the Zelda and Fire Emblem DLC, but only the Switch versions were on sale, which I don't own. Seems unfair to Wii U and 3DS owners. Xenoblade Chronicles 2 plus DLC was the best price I have ever seen and I've sunk 20 hours into that since this sale went live. I've changed my buying habits recently, as I have a huge backlog of games from sales that should keep me busy until springtime. So, sales or no sales, I'm not buying any more games until I've got through those. I'll put all the money that I would have spent on sales to one side and then, once I've cleared my backlog, I'm going to buy myself a game that I really want to start playing right away. If it ends up being full price, fine. Does anyone else do this? I'm hoping that I can stick with this regime. Those are some real solid deals on some real great games. I have all of them, except Skyrim. Tempted by Xenoblade 2, but must face the facts I still need to finish XC1 and XCX, even if I loved them!